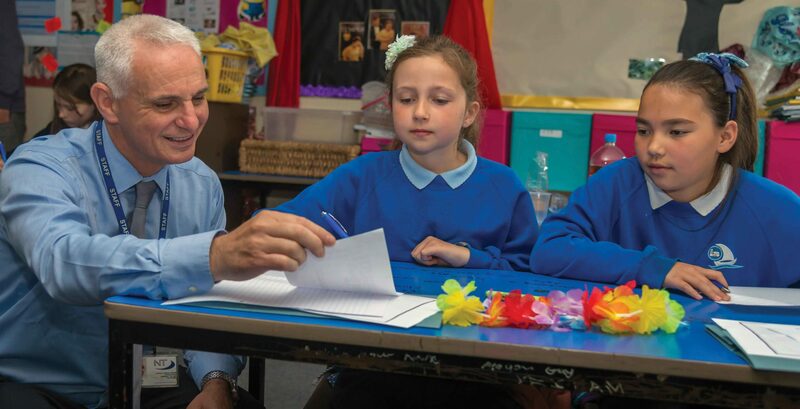 Prior to pupils beginning at Tretherras we work in close partnership with our local primary schools to establish good relationships with younger pupils, and to provide opportunities that ensure their transition to secondary school is as smooth as possible and a pleasurable experience. We run a series of Youth University programmes in the Autumn term for Year 5 and 6 pupils to help them get a feel for what we do at Tretherras. Each Youth University session is based around one of three themes: Science, Mathematics and Technology, the Creative Arts and Sport. These sessions are focused on giving young students and their parents the opportunity to experience learning the Tretherras way. We also offer a series of ‘See Our School In Session’ mornings in the summer term when you are welcome to come along and see our school in action as it is on a normal school day. In addition, we provide the opportunity for pupils and parents to come and talk to teaching staff from each subject during our Open Evening and Open Morning that takes place each September. The Directors of Newquay Tretherras Academy Trust are the admitting authority for the Academy. Newquay Tretherras is an 11-18 mixed Academy serving the needs of the young people of Newquay and the surrounding villages. We work very closely with primary school partners and aim to provide seamless education from the age of 3 to 19. We collaborate closely with our primary schools in aspects of curriculum development, staff training and educational philosophy. In order to support the continued development of these strong links with our partner primary schools, applications from students attending our partner primary schools will be considered as high priority in our oversubscription criteria. The ‘oversubscription criteria’ is the criteria used to decide on the allocation of places when a school has more applications than places available. The Academy’s Directors recognise that a large number of our students are siblings and have therefore placed siblings as one of the highest oversubscription criteria. The main principle of admission to Newquay Tretherras is to maintain the comprehensive character of the Academy, providing for the needs of young people within the 11-18 age range who live in Newquay and the surrounding areas, provided that they can be accommodated within the agreed admission limits. We are an inclusive Academy and welcome all applications. Our uniform policy is intended to encourage a professional appearance and a pride in Tretherras: it is also conscious of health and safety requirements. We have tried to keep this at a reasonable cost while maintaining a level of conformity. Admission to Newquay Tretherras is not dependent on any ‘voluntary’ contribution and we have a full range of extra-curricular activities available for all children. We have a full programme of visits for which a charge is made but again we are pleased to discuss any concerns parents/carers may have. Newquay Tretherras will endeavour to provide places for students who are educated in our partner primary schools and whose parents wish them to attend Newquay Tretherras provided that they can be accommodated within the agreed admission limits. This policy is written with full adherence to and in accordance with the School Admission Code (2012). All statutory obligations defined within this code apply, including the operation of an equal preference scheme. Students will be admitted to Year 7 without reference to ability or aptitude using the procedures detailed in this document, which includes arrangements and criteria that will be applied in the event of oversubscription. The number intended to admit in September 2016 will be 280. The Academy participates in the Local Authority’s Co-ordinated Admissions Scheme and applicants should adhere to all procedures and deadlines within that. All applications for places in Year 7 must be made on the common application form known as the (Cornwall Admission) Common Application Form (CACAF). There is no additional application form or information required by Newquay Tretherras. Full details of the Scheme, including the CACAF, are available on Cornwall Council’s website, www.cornwall.gov.uk. Children with a Statement of special educational needs that names Newquay Tretherras will be admitted. In-year admissions will be coordinated by Newquay Tretherras: parents and carers should contact Newquay Tretherras in the first instance.